"How many beers are in a keg?" is a good question to know the answer to. 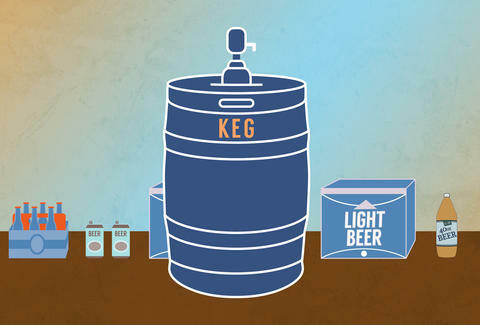 This way you know if you have enough beer for your party, or your Friday night Netflix binge. But if you don't know it, doing the math can be a painful and complicated situation. (Turns out long division is actually useful after all, oops.) So we did the math for you. We even figured out how many growlers, and pints, AND shots are in a keg, too, out of the kindness of our hearts. Unlike how you slept through algebra in high school, this is one math exercise worth paying attention to. Lee Breslouer is a senior writer for Thrillist, and is good at counting. Follow him to math: @LeeBreslouer.